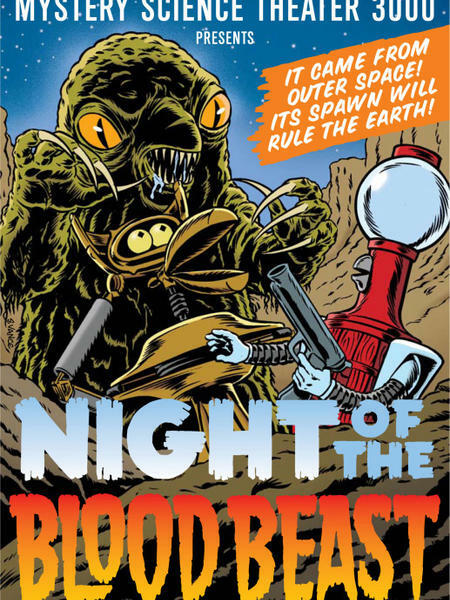 Long before there was Alien, Aliens, Alien3, Alien Resurrection, Alien vs. 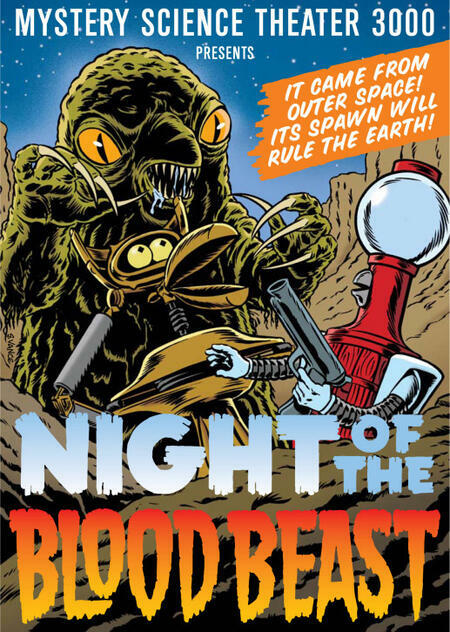 Predator, or the DeVito / Schwarzenegger classic Junior, aliens were impregnating human males in the Roger Corman classic, Night of the Blood Beast. 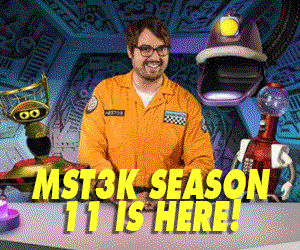 The chilling tale begins when the blandest astronaut in the world crash lands his space craft in a remote location that did not require filming permits. His crew is shocked to find him alive, and even more surprised to discover that a blood beast has apparently made sweet, sweet love to him up in space. And in order to assure that his brood (an X-ray reveals that they are a bag of 20-count peel and eat shrimp) have adequate pre-natal health care, he goes around murdering people. For a whole night! 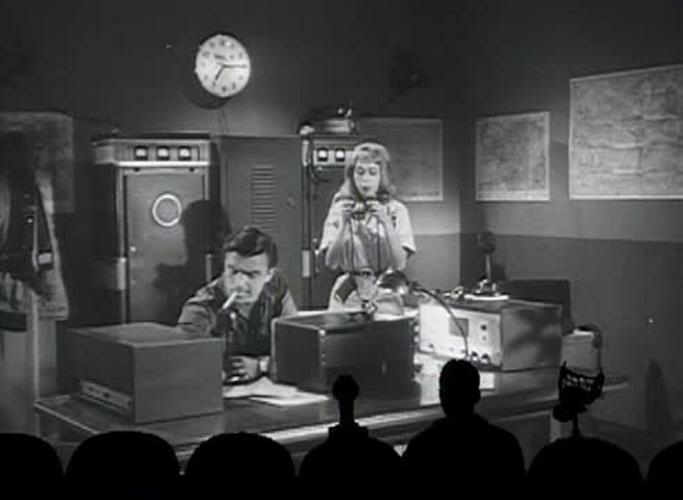 So boil some water and grab some clean towels, because Mike, Crow and Servo are on hand to help you push through Night of the Blood Beast. P.S. 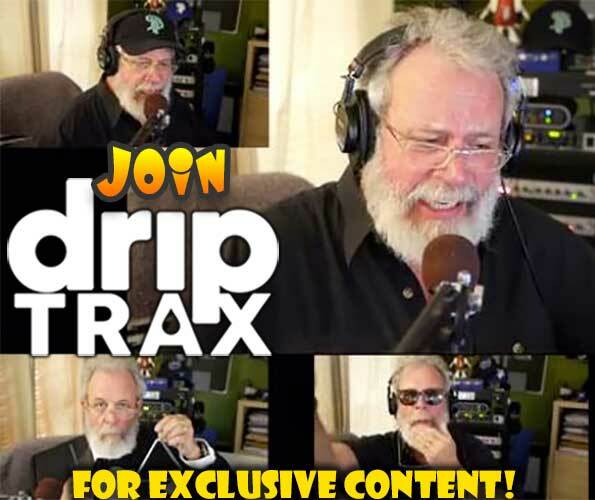 - A significant share of the profits of all MST episodes sold on RiffTrax will be paid out directly to ALL the principal cast members of MST – Mike, Joel, Kevin, Bill, Mary Jo, Trace, Frank, Josh and Bridget. We feel it’s important that the original artists benefit directly from their awesome work. 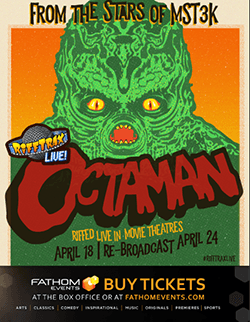 So if you want to support them, buy your MST here on RiffTrax!